Hello again! My name is Paul Leonard and I’m a penguin biologist here at the New England Aquarium. I’m going to spend the next few weeks telling you a story about an animal that we all find intriguing and entertaining, the African penguin. 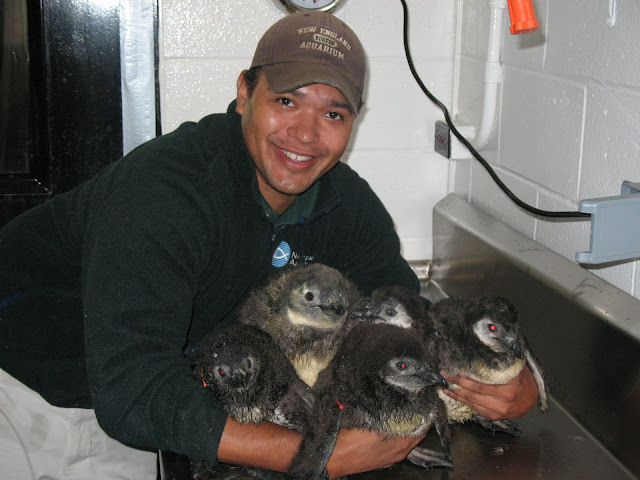 I’ve spent the last 9 years taking care of and raising African penguins at the New England Aquarium. We have a very large and vibrant colony here in Boston. Our team has invested a lot of time in creating the best environment for them. It’s exciting to see visitors get animated when they see our birds. Kids scream, “Penguins! Aaaahhhh!! !” Adults belt, “How cool! Look at them!” The penguin caretakers always respond with a smile. People leave knowing that those amazing animals are well cared for and are living long, healthy lives. And they will. Unfortunately, that’s potentially not the case for their counterparts in their native homeland of South Africa. 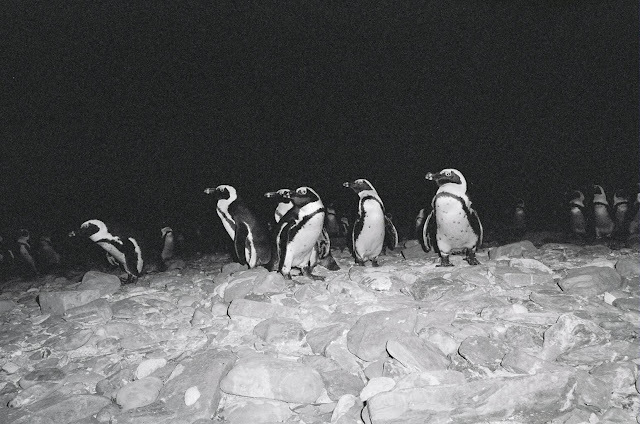 The status of the African penguin has recently changed from being Threatened to Endangered. Many think that these birds have the possibility to go extinct in the next 14 years. In the past decade the wild African penguin population has dropped from 112,000 birds to 42,000. There are many theories as to why this population has crashed. It’s possible that global climate change, fisheries competition, habitat encroachment, and pollution are the culprits. Researchers both in the field and in the laboratories are endeavoring to find a solution to the situation. Thanks to an unique opportunity through the Aquarium, I will be heading to South Africa and teaming up with the people on the front lines that are helping save these penguins. Paul is not the only Aquarium staffer heading to South Africa. Educator Jo Blasi is also heading into the opposite season to study and care for African penguins in the Southern Hemisphere! Read about her experience on the Global Explorers Blog. Good luck and send those Penguins our love!! Wishing you an amazing and safe trip!!! Give those penguins a squeeze for me! Hello Paul. How exciting! My son Matthew a.k.a Penguin Kid and I will follow your story about the African Penguin. I will add a link to your blog on our Penguin Directory page for the readers of our new blog about penguins at PenguinsBlog.com. Have an OUTSTANDING day Paul!